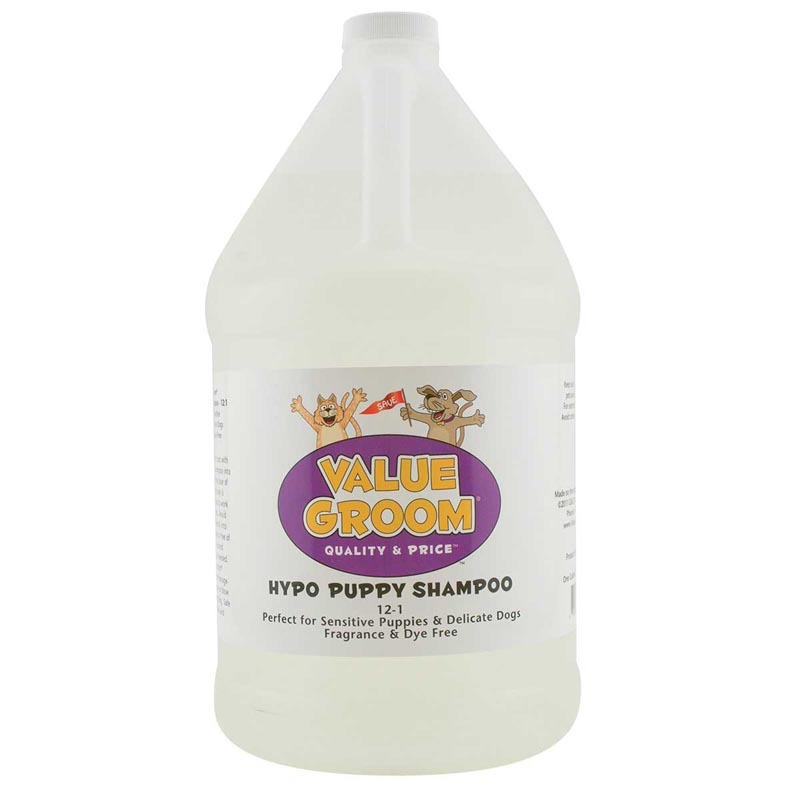 A Fragrance and dye-free shampoo perfect for sensitive puppies and delicate dogs. Gently cleans leaving coat soft and manageable. Shampoo is wonderful for washing dogs sensitive areas including their face! Or just all over if you prefer no scent or have a custom that requests no scent. It lathers up great!! I use a little more shampoo in my shampoo- water ratio ( I just like using a little extra shampoo) when diluting. I would definitely recommend this product! It’s a reasonable price and you will get your dog clean.